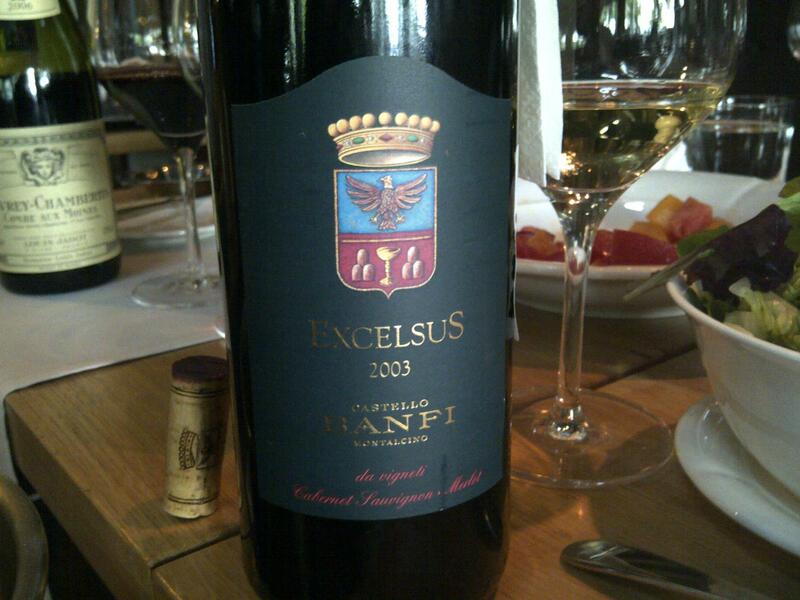 A blend of Cabernet Sauvignon and Merlot from Sant’ Antimo Rosso DOC. This is surprisingly fresh considering the hot 2003 vintage and the over ripeness flavors that characterized most of the wines. A sweet wine from Bordeaux, from a producer that remained very affordable for the quality it provides. This wine needs good aeration. Had it over a few hours and just got better by the minute. Decant it for 2 hours at least and it will reward you. Another great wine from my busy last weekend. I am a big fan of Chateauneuf du pape and I am a sucker for well aged Grenache. 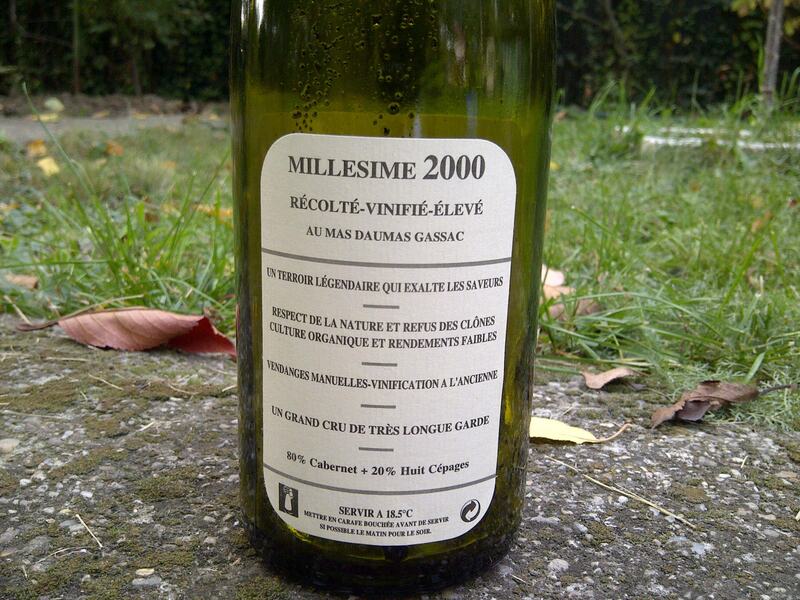 Perhaps it is not the case for this relatively young 2006, but still, the wine has everything that you hope to find in a good Chateauneuf du pape: richness, balance and complexity. It is a wine that can convert people into liking wine. 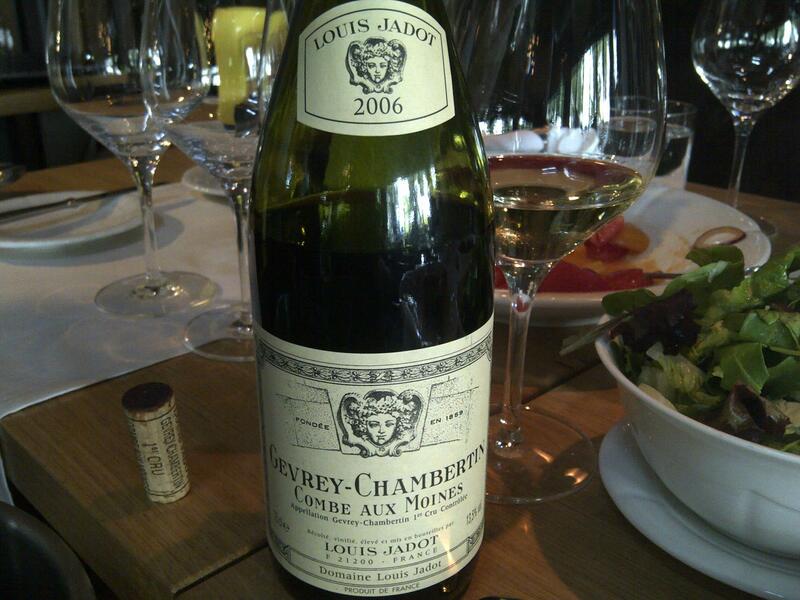 I remember first time I started to discover wine a few years ago, I was looking for richness above any other things. This is a sweet compromise where one finds both richness and balance in a classic style. 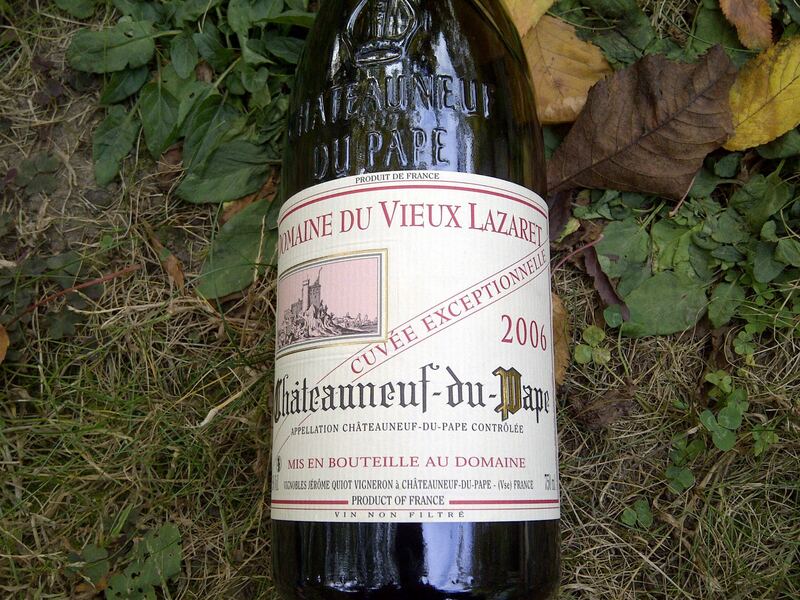 Chateau Vieux Lazaret Cuvee Exceptionnelle is imported into Romania by Cramele Recas. It is still a warm autumn in Bucharest, yesterday we had around 20-22 Celsius degrees and it was probably the last weekend this season when we could stay outside in the yard and enjoy a home cooked lunch. As I haven’t had a burger in a while and the topic came into a discussion with a friend this week I decided to prepare my own and invite him over for a complete cooking session. I lowered the amount of meat I am eating for some time already – and already lost about 5 kilos so, to keep up the same spirit, we prepared a low fat beef and turkey burger greased just with some mild amount of goose fat. We went through the whole process of mincing the meat ourselves and then spiced it up with salt, pepper, sweet dry red bell pepper powder, minced fresh garlic and finely cut red onion, greased with 3 small table spoons of goose fat for almost 2 kilos of meat. 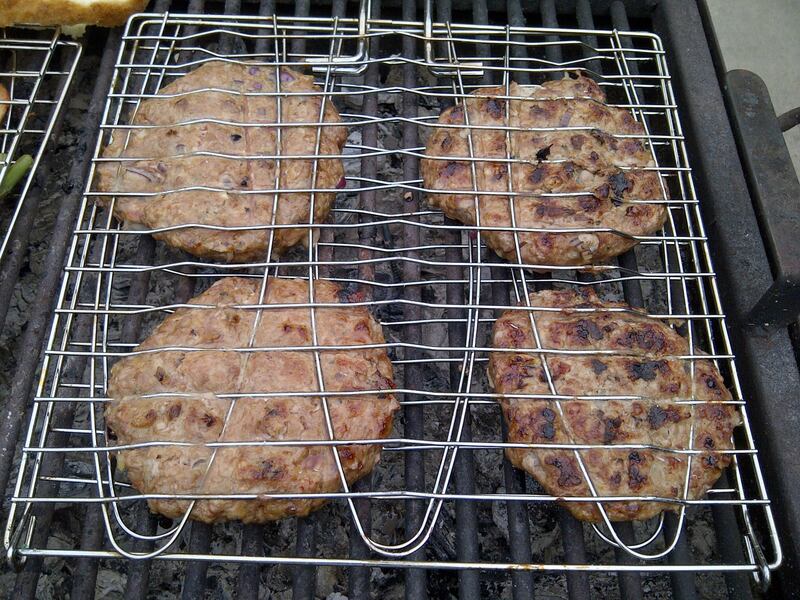 The final blend resembled more sausage aromas than a regular burger due to the garlic and red onion. Prepared a barbecue outside and we grilled the burgers on a low fire for about 15 minutes enough to still preserve some juices on the inside. Used some slices of home baked bread, that you usually find on the country side if you still have relatives there, toasted a little bit on the grill. Put some home pickled cucumbers, onions, ketchup and green salad and: Boy, were they good !! Could not stop only after the third burger was gone in my belly and I was completely full. During the whole cooking we had a very nice dry Italian sparkling: 2007 Millesimato Contrato, just to warm up the spirits. The wine pairing was a classic that proved to be a happy choice. Happy in the sense that the wine was so good that it did not actually need any pairing and it simply shinned, just like gold in the mud, by itself. Uncorked the wine and left it to slowly aerate in the bottle for about 1h 30 min. 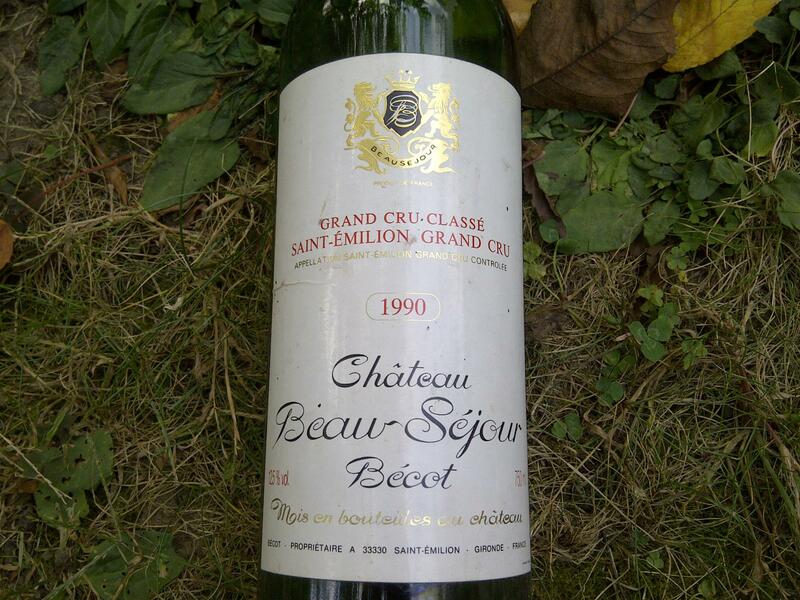 1990 was a stellar vintage in Bordeaux, it was a combination of both a larger crop and excellent quality. Most of the wines are maturing and a pleasure to drink now, while the Premier Grand Cru’s will still benefit from further aging in the bottle. Chateau Beau Sejour Becot saw a huge increase in quality over the last decade, the 2006 bottling being highly acclaimed by the Decanter tasting panel. We had another wine after the 1990 Bordeaux and I initially intended to mention it in a separate post, but I believe it is worth mentioning here just to make parallels with the older red. 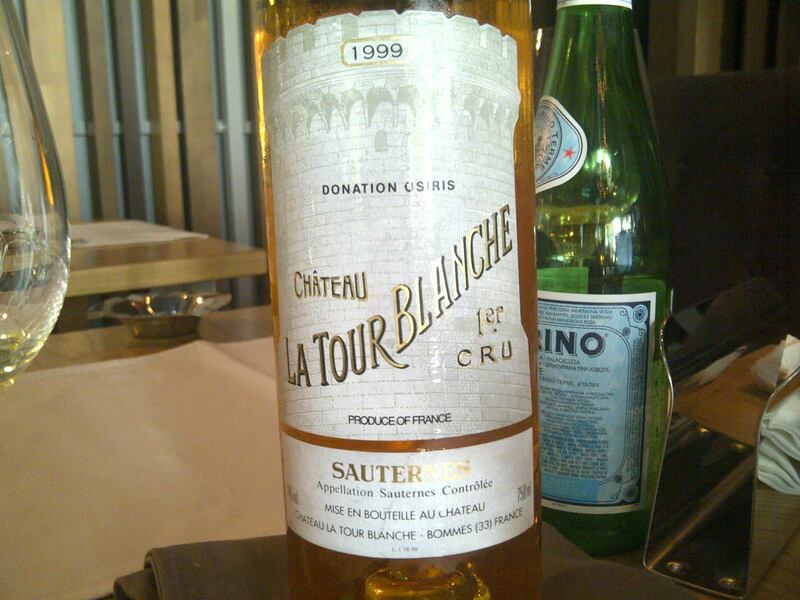 This is another great classic of the Languedoc and a pioneer for quality driven wines. 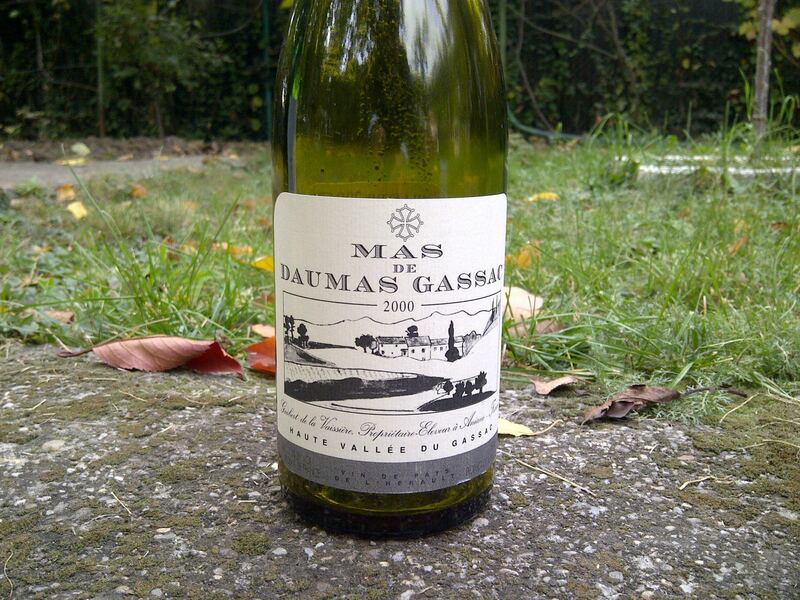 I already tasted a 1998 Mas de Daumas Gassac that I enjoyed a lot in the recent past. This is a typical 80% Cabernet Sauvignon blend, the rest being other 8 different grape varieties. 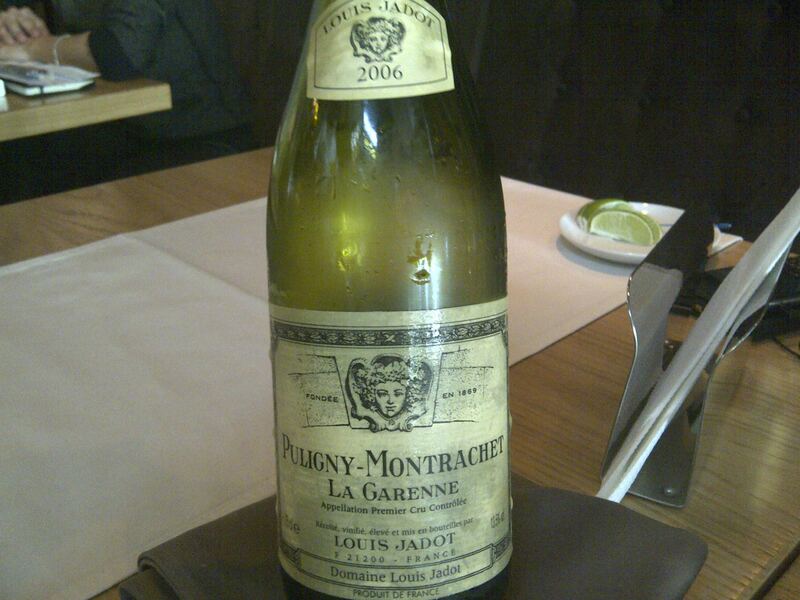 The wine was not decanted, and perhaps that was not the best move, and did not breath more than 30 min. When the wine is good the sipping happens at a quicker pace. Both wines have a lot of sediment, so be careful when you pour the last drops. This was both a great academic exercise and a fully rewarding drinking experience. It was a good Sunday. Had dinner last night with my friend Calin at the Spanish restaurant Nada Mas that replaced the old Byblos on Nicolae Golescu street, just behind Ateneul Roman and enjoyed again a very nice chicken paella. I have not tried yet the paella made by La Tienda on Tunari street but, so far, Nad Mas paella seems to be the best in town. Will go and try the one at La Tienda and come back with final conclusions later on. I also found out that the guys from the Bonne Bouche restaurant from the Old Center bought the old Bistro Ateneu location and they will open both a wine shop and a wine bar at the beginning of December. So there will be two wine shops and two wine bars on Episcopiei street where, for the time being, there is only a Le Manoir shop. This is a welcoming initiative as both the consumers and the wine shops will benefit from being in the same area. 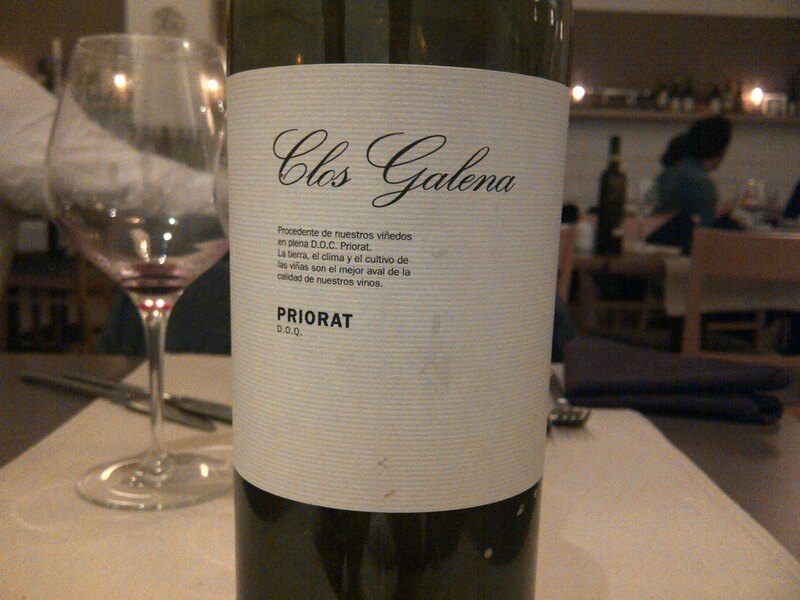 As we had dinner at a Spanish restaurant, I brought a Spanish wine from Priorat that was bought about 3-4 years ago from a wine shop in Austria, and was stored in my cellar ever since. Looking back at the price I paid back then (approx 40 Eur) I have the regret of over paying for it. 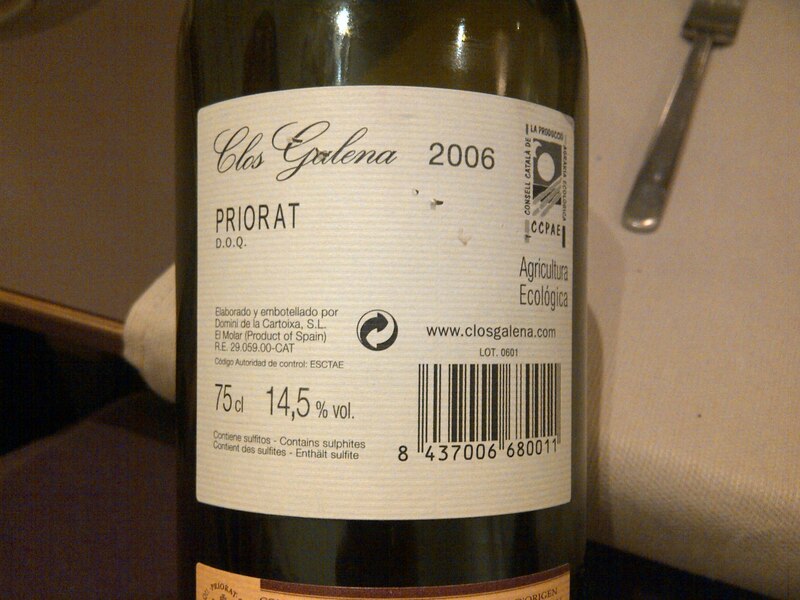 The wine was paired both with Spanish charcuterie – that was not a happy match as it brought the alcohol on the surface, and also with a chicken paella which was a better combo. Clos Galena is usually a blend of Grenache (40%), Carignan (20%), Syrah (20%) and Cabernet Sauvignon (20%) aged between 12 and 15 months in French and American oak barrels.